I wrote a post for Babble this week about Ellen starting kindergarten. She's my youngest so it's the end of the era. Raising Babies and the End of an Era. I also did a quick write up about the Kid History guys. They are doing Kid Snippets now and have a BoredshortsTV website. I think they are funny. 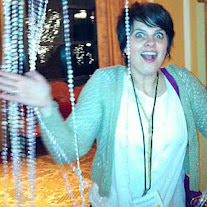 One of my fellow Babble bloggers wrote about it today, too. This makes me think none of them ever read my posts but I don't care because it's good publicity for Kid History. 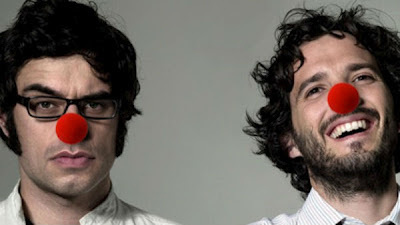 I also linked up with the Flight of the Conchords' new video. It's a music video to raise money for Red Nose Day: Comedy to Cure Kids. Go watch it. I'll wait. I raised a question about Scouting and got some pretty interesting feedback. It's an honest question, because I already have kids in the scouting program and with all the controversy surrounding the BSA I've wondered about pulling my boys out. But I haven't. And there you have it! Babble at a glance.